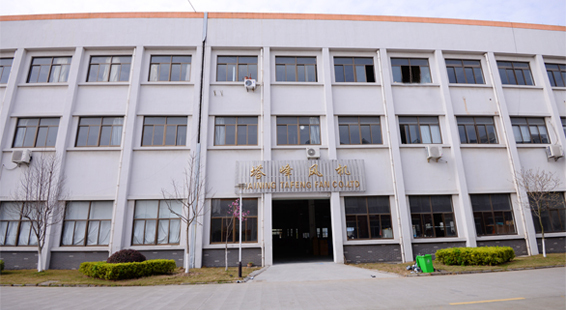 Haining Tafeng Fan Co., Ltd is a professional manufacturer of centrifugal blower fan.We have more than 10 years' experience in fan blower manufacturing. The Factory is located in the City of Haining, a city famous for the tidal waves in Qiangtang River.It is equipped with convenient transportation by sitting between Shanghai and Hangzhou. The Factory was established in 2001. Through over ten years' constant innovation andreform, our products have received recognition and praises from customers all around the world. Now the Factory is an appointed supplier for many large machinery enterprises. high temperature resisting blower, L-type centrifugal fan L045, tower crane fans, industrial fan blowers , exhaust blower fan, high pressure centrifugal fan, hot air exhaust centrifugal fan, mini blower fan , gas suction blower, DC centrifugal exhaust fans, industrial gas suction fan, mini fan, mini suction fan, powerful suction fan blower, small exhaust fan, 12v centrifugal exhaust pipe fan, 24v centrifugal exhaust blower ,oven fan, centrifugal fan 380v 220v, grill exhaust fan, centrifugal fan impeller, fan impeller, blower fan, fan impeller, centrifugal fan, fan blades, miniature fan, centrifugal wind wheel, wind aluminum wheels, aluminum impeller, stainless steel blades, centrifugal fan accessories and so on. 1. Smooth coordination: Whether it is alarge enterprise or an individual, we all treat each other equally andcooperate actively. 2. Quick return, quick quotation, timelydelivery, technical problems can be solved in time. 3. The product is beautiful, the materialis real, the craft is consummate. Business philosophy: quality is the life ofan enterprise. 4. We have developed a series of specialequipment independently to further ensure product quality, improve productionefficiency, and shorten the delivery time. 5. We have more than ten years of fanmanufacturing experience. We are professional because of single-minded. 6. We have the ability to independentlyresearch and manufacture mold. 7. We provide OEM and ODM services.